There’s nothing better than visiting a place that you’ve never heard about and not only liking what you find, but loving all that it has to offer. McAllen, Texas is that place for me, a truly unique city located about 10 miles from the US-Mexico border that brings me back time and again. So what makes it so exceptional? The Rio Grande Valley is home to both the World Birding Center and the National Butterfly Center, which attract nature lovers from all over the world. More than 200 species of butterflies have been documented at the butterfly center’s Mission, TX location; in fact, 40 percent of the 700-plus species in the U.S. can be seen in the three-county area that includes McAllen. The World Birding Center is not just one building but encompasses nine locations in the Rio Grande Valley, including the Old Hidalgo Pumphouse, Bentsen-Rio Grande Valley State Park, and Quinta Mazatlan, all located within a short distance of McAllen. Bird watchers flock (see what I did there?) to view more than 500 species of birds including chachalacas, vultures, and long-tailed grackles, which are found in South Texas. At Quinta Mazatlan alone, visitors have seen more than 230 bird species, and every Saturday from October through April, you can take a Songbird Stroll to see what you can spot. Butterflies, drawn to McAllen’s warm temperatures year-round, can be found all over the gardens, which are designed to attract birds and wildlife. Both centers also provide a way to see the plants native to this sub-tropical climate; the National Butterfly Center is now the largest native plant botanical garden in the U.S., and 80 percent of Quinta Mazatlan’s gardens are made up of native plants. In addition to being a sanctuary for tropical birds, native trees, flowers and plants, Quinta Mazatlan is an architectural wonder. Built in the 1930’s, this adobe home features 6,739 feet of living space, including the more beautiful sunken tub I’ve ever seen, painstakingly handcrafted out of Mexican tile, and ceiling beams made from Lebanese cedar that was gifted to the home’s original owner by the King of Lebanon himself. 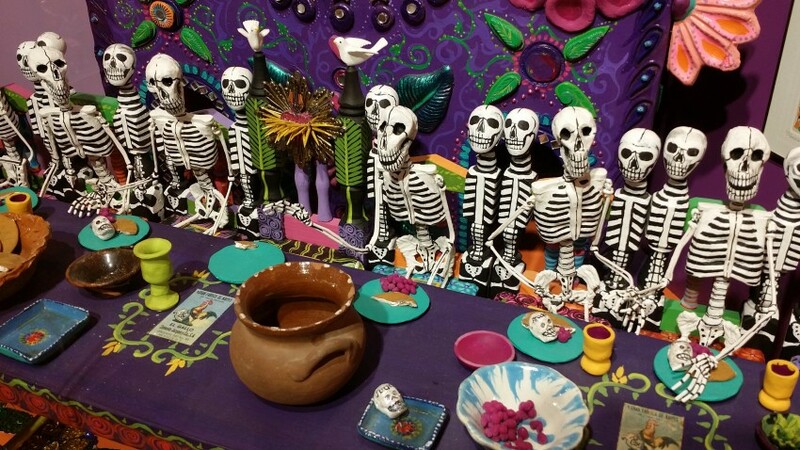 The Folk Art Room, featuring more than 400 pieces of art from the collection of McAllen native Ann Moore, is not to be missed, especially if, like me, you are fascinated by the vibrancy and sometimes spookiness of this style of art. What’s really surprising is that this urban oasis is located smack dab in the city of McAllen so you don’t have to go far to satisfy your need for art, architecture, and nature. And at $3 a ticket, less for children and seniors, it’s easily affordable. Two outstanding museums also contribute to the McAllen arts scene: the International Museum of Art & Science (IMAS) and the Museum of South Texas History. IMAS offers an eclectic mix of art ranging from 16th-19th-century European paintings to outdoor sculptures by Sebastian, to a series of Picasso lithographs. the Museum of South Texas History, which encompasses the original 1910 Old Jail (including cells and hanging rope), documents the area’s growth from prehistoric times through the 21st century, including its role as a steamboat route and a leader in the cattle industry. I especially liked that there were a number of areas where kids (and um, some adults) could experience life in South Texas first-hand; I not only go to shimmy up onto a saddle, but got to try out my (non-existent) roping skills. I swear that when two cultures come together, the food is just better. McAllen and its surrounding areas are a mecca for foodies, especially those who crave Tex-Mex offerings. Want upscale Pan de Campo? Try SALT American Table. Prefer authentic pork, chicken, beef or bean tamale? You’re going to need to stand in line at Delia’s Tamales, starting early in the a.m. I also love that the city has established the McAllen Food Park, located between the arts and cultural districts, where locals and visitors alike can dine on food truck fare ranging from tacos to burgers to vegan options to Korean fusion choices and you can sign up to sing karaoke while you’re there. And don’t worry if you’re not a big fan of spicier south-of-the-border selections Forno A Legna, located in North McAllen, has some of the best Italian food you’ve ever tasted. 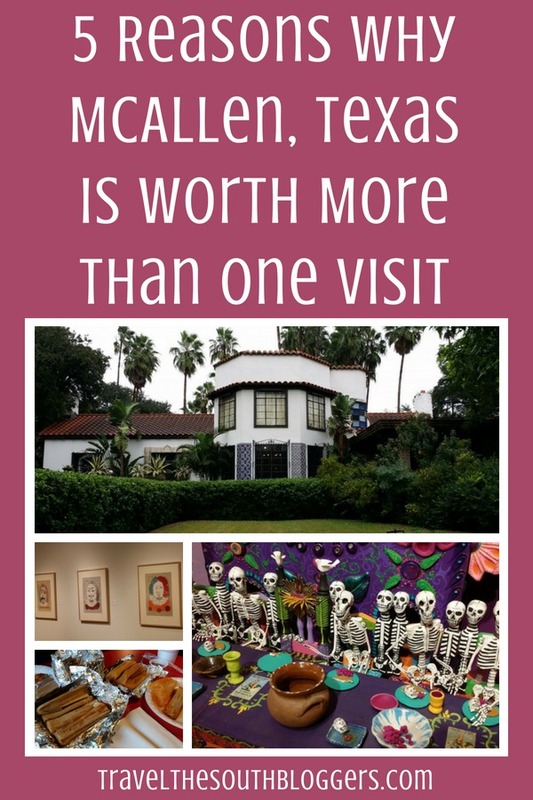 While McAllen may not be as well-known as some of the larger Texas cities, it is well worth a visit. Just don’t say I didn’t warn you when you want to go to back. Do You Know that Georgetown Texas is Full of Southern Hospitality and Charm? We agree 100% with this blog post. We love the city McAllen and serving all the residents and visitors with exceptional towing services! Thanks for sharing this and for informing the word about how great McAllen Texas can be.